We are based in the picturesque village of Lower Whitley in the heart of the Cheshire countryside. 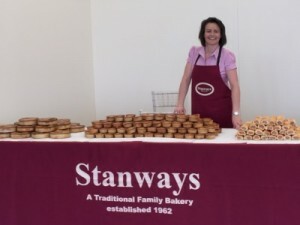 Those words “Traditional Family Bakers” really capture the essence of what Stanways is all about, what we stand for. A family business, celebrating almost 50 years in the profession, Stanways is steeped in family values, culture and traditions that have been passed down over the years and that we are so proud to represent today. 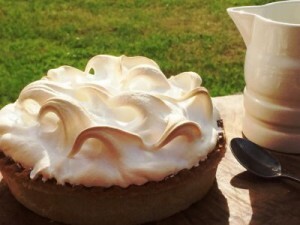 Not only do we have a wealth of experience in baking the finest, freshest products but we have “Quality” running through our veins and a reputation that we have, as a family and as a team, worked very hard to build and maintain since those early 1960’s right through to today. From first class ingredients sourced from local, reputable suppliers, to the skill of hand-crafting each individual, tasty product on a daily basis and right the way through to our dependable, prompt delivery direct to some of the North West’s most discerning of Wholesale customers, Stanways Bakery’s commitment to exceptional Quality and Customer Service is second-to-none. 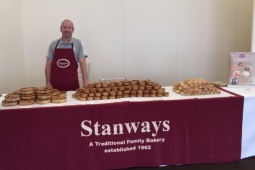 Of course that wonderful fresh-from-the-oven smell and taste – and the fact that our products are excellent value for money – also attracts quite a few individual customers who we retail to direct from the Bakery for their special events. There are not many parties that happen in these parts that we don’t know about and it’s always very satisfying when those customers give us excellent feedback on how well the food went down! But don’t just take our word for it! 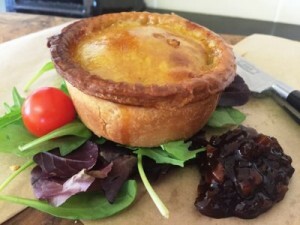 Take a look at our delicious and extensive Product Range and read what some of our prestigious Customers have to say about our Savouries, Fruit Pies and Cakes – as well as our Service. If you would like any further information or indeed would like to place an order with us, please click here for our Contact Details; we are always happy to hear from both our current, happy Customers and also from potential new ones. 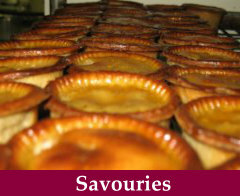 To place an order, please either phone (24 hour notice for next day deliveries), email or visit us. Our current product list can be found on our "Products" page. For Wholesale customers, please call us first so that we can advise you of our wholesale prices for delivery of your order. 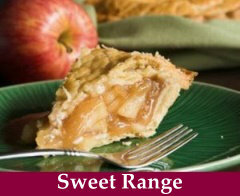 Our Retail prices can be found in this “Retail Prices” PDF file. 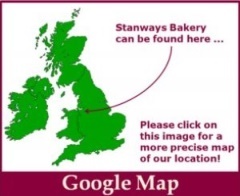 © 2019 Stanways Bakery. All Rights Reserved.